As we all know, Walt Disney World vacations aren’t cheap. Even if you take steps to minimize costs, you could still end up spending thousands to hobnob with princesses and meet the mouse himself. That’s just the price you pay for some Disney magic, right? It’s true, but you actually don’t have to pay for everything at Walt Disney World. I’m not saying you can score free meals or extra rides on the ultra-popular Toy Story Midway Mania. But hey, getting something for free is better than nothing, right? If you’re celebrating something at Disney World, chances are it has a button for you. Anniversary? Yep. Birthday? Of course. Just Married? Definitely. First visit? Certainly. Something else? The general “I’m Celebrating!” button has you covered. Ask for your buttons at Guest Relations in any park and most indoor retail locations. Cast members often acknowledge these buttons. And, once in a while, you may even score an extra freebie, like a dessert. A hot Florida day calls for something ice cold. If you’re visiting Epcot, you’re in luck. Club Cool offers free samples of Coca-Cola beverages. And not just the regular stuff, either — you can try fun soda flavors from around the world. They vary, but some options include Zimbabwe’s Sparberry and Fanta Pineapple from Greece. It’s worth noting you can also get a free cup of water from any counter service restaurant in any of the parks. If you have a Disney Visa Card, you’re entitled to a special meet and greet with a mystery Disney character at Epcot. This usually means a shorter line and more time spent with each character. Available characters depend on timing, but Minnie Mouse and Pluto are pretty common. After your one-on-one time, head to the Camera Center and turn in your voucher for a free 5-inch by 7-inch photo. You can even enhance the photo with borders and fun graphics — for free. Even a single print from Disney isn’t cheap, so scoring a free one means you’ll walk away with at least one souvenir! This is a freebie no one hopes they’ll need, but it’s a good one to keep in the back of your mind, especially if you end up with blisters from all that walking! Each park has first aid facilities, and they give out small items like Band-Aids and over-the-counter medication like Tylenol. Each area is also staffed by a nurse who can help with small ailments or call for more help if needed. This one is more of a “free with purchase” item, but it’s worth it. Not only does it make your drink more fun, the ice cubes are yours to take home. My husband and I scored two from 50’s Prime Time Café in Hollywood Studios. If you’ve been to Disney, you probably know all about the PhotoPass photographers. They’re stationed throughout the parks ready to take your photo. But did you know in addition to taking photos you have to pay for on their fancy cameras, they can actually take photos with your camera? My husband and I have asked dozens of Disney photographers to use my camera to snap shots of us in front of attractions and with characters. They’ve all been happy to do it. So don’t be shy — get everyone in your vacation photos for once! Little-known Disney Transportation cards are a fun, free souvenir you can take home. But, they can be a little tricky to find. You can only get them from bus, boat or monorail operators. The front of each card shows one of the modes of transportation and the back has fun trivia. If you really want a challenge, try to collect an entire set! 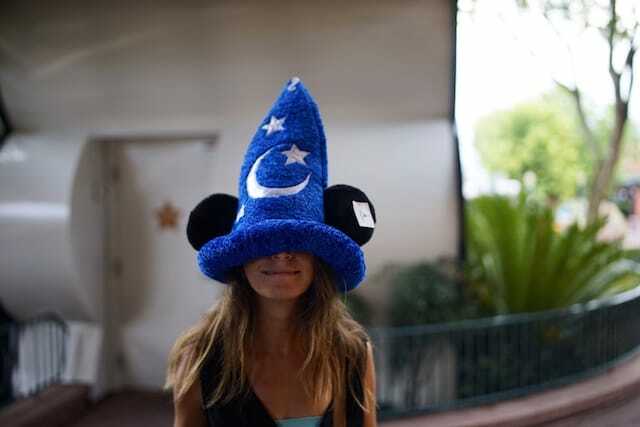 Your Turn: Are there any Disney freebies we missed? What’s your favorite? Elizabeth Xu is an Ohio-based freelance writer who loves all things Disney. Follow her on Twitter @ElizabethMXu.